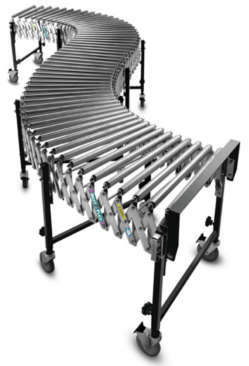 Best Flex Conveyor, Flexible Conveyor, Telescopic, Extendable, Expandable, Powered Conveyors. 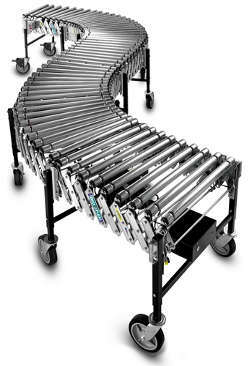 Our efficient flexible conveyors improve transportation, shipping, and packaging. They are versatile. By expanding, contracting, and flexing side-to-side, they can be adjusted to the needs of any operation. Use as a stand alone unit or with other material handling systems. A Best Flex Flexible Conveyor delivers. 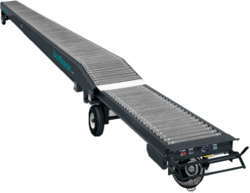 The Gravity 200 Best Flex Conveyor is a time tested performer ideally suited for truck loading and unloading, shipping, packaging, and flexible assembly lines. The Gravity 300 Best Flex Conveyor is built to handle tough jobs, and is capable of running 24 hours per day. The Gravity 300 Conveyor is well suited for shipping and receiving, truck loading and unloading, and heavy use distribution centers. The Best Flex Roller Gravity Flexible Conveyor is excellent for handling low quality packages and cartons, odd shaped packages or bags that could get lodged on skatewheel conveyors. The Best Flex Power 1.5 Conveyor and the Power 1.9 Conveyor are well suited for distribution centers, and shipping and receiving, where trucks are loading and unloading, including, packaging, portable assembly lines. 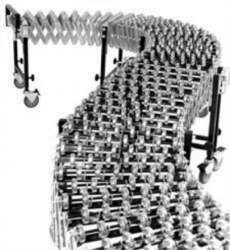 The Best Flex PowerTrax takes the effort out of moving conveyors. 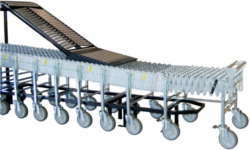 With “Bullet-Proof” construction, these conveyors are tough and can easily handle 24 hour per day work loads. They are Safer, Faster, and Easier, loading and unloading, in and out of the trucks. NestaFlex Gravity SkateWheel Series, The NestaFlex 376PL is the leading expandable gravity conveyor for your high volume shipping needs.NestaFlex is world renown in the material handling industry. Its superior design allows for unabridged portability, contraction, expansion, and flexing curves. BestReach Rigid Roller Drive-Out Conveyors are built tough. It can handle high impact, high volume jobs, 24 hours a day. 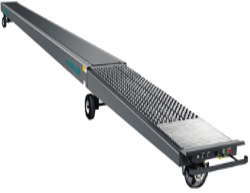 These conveyors were designed to load and unload 53′ trailers. 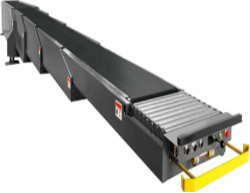 BestReach Rigid Belt Drive-Out Conveyors were made to easily reach from an existing stationary conveyor into a trailer. They are powered to move in and out, easily, without operator effort. 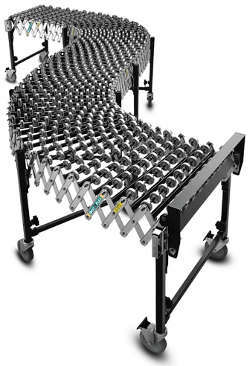 The MaxxReach Telescopic Conveyor is the extendable conveyor leader in the material handling industry. It is the champion in high volume loading and unloading. 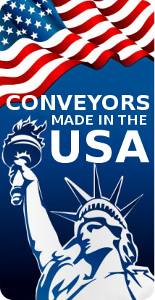 Do You Have Questions About a Best Flex Conveyor? 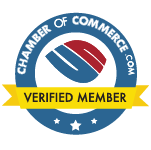 American Conveyor Group, Inc. has experts standing by to answer all your questions and to solve all your material handling problems, and to make sure you are getting the best solution for your needs. Or fill out the Product Request Form below and a representative with get back with you ASAP. The Hytrol FX-200 is also a proven performer when it comes to trailer loading or unloading. And it is well suited for use in flexible assembly lines, packaging, and shipping. Optional Leg Connect Brackets are available to lock units together. Structural steel supports spans the entire conveyor width for unequaled strength. 1-1/4” ribbed construction side plates made from an aluminum alloy add durability. Overall Widths: 18in. & 24in. Capacity: 200 lbs. per linear ft.